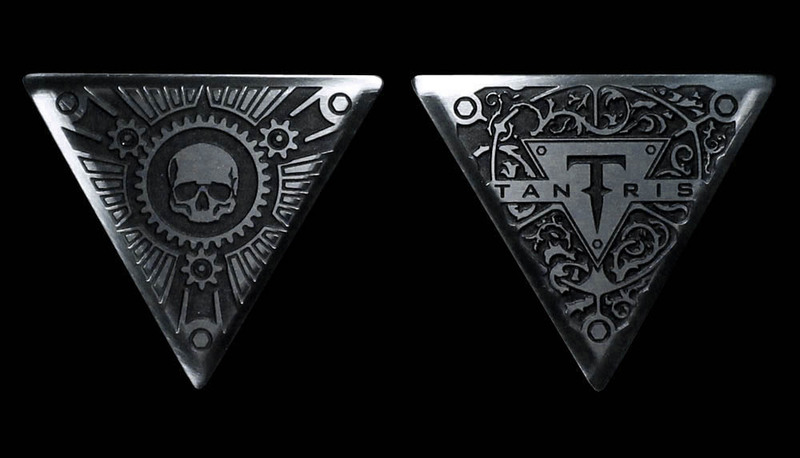 Etched on both sides to provide grip and style, with edges hand-tooled to glassy-smooth perfection. 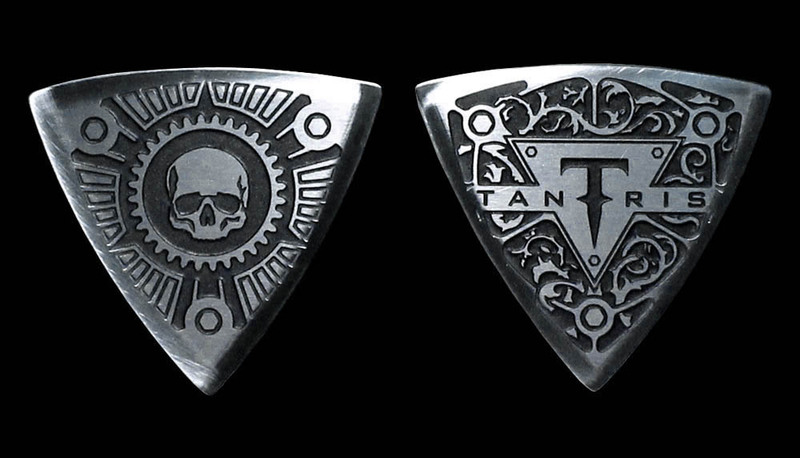 The ultimate guitar pick holder pendant for Tantris Standard model picks. 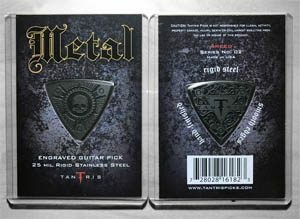 The perfect hard rock fashion accessory. 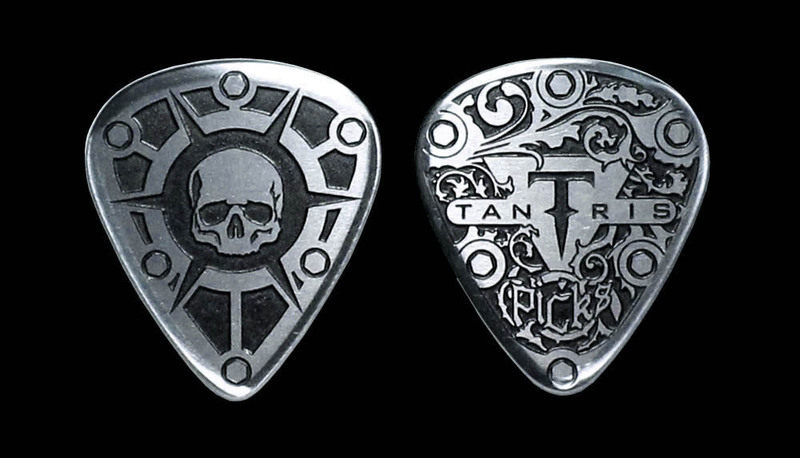 In 3 classic styles, all deeply etched on both sides for secure grip, Tantris Picks are individually hand-tooled from high quality .025″ stainless steel for hammering out heavy riffs and screaming solos with the solid, bright attack that only a heavy metal pick can deliver. 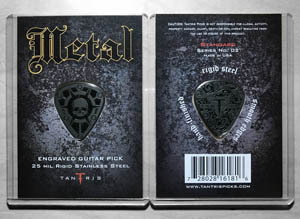 Each pick is individually hand-tooled, inspected and packaged to ensure quality. 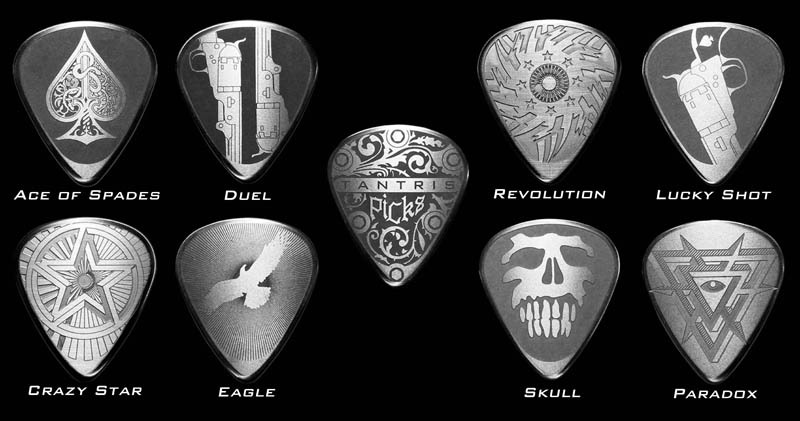 Series 1 Limited Edition picks feature individually hand-tooled, high quality .025″ stainless steel picks in exclusive designs that are available only through our authorized dealers. 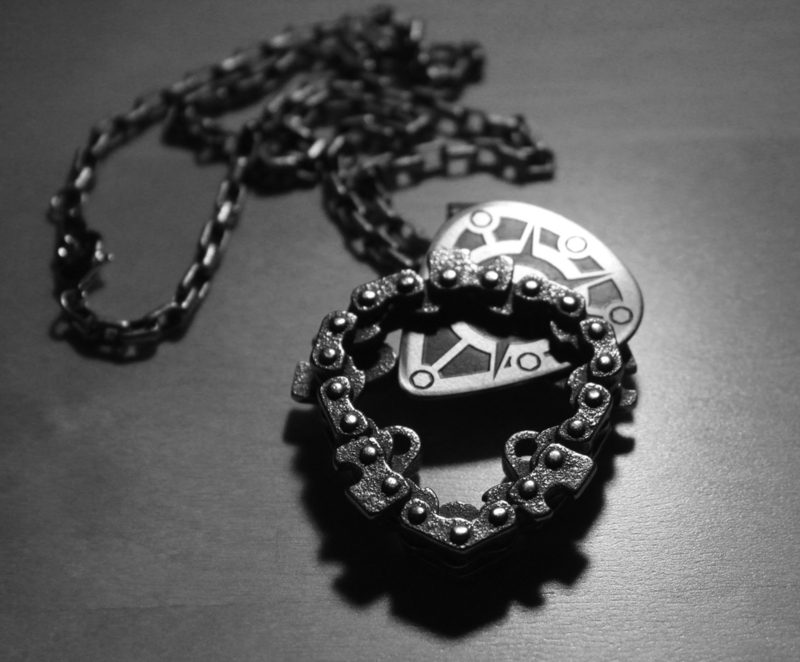 Reversible, functional jewelry in Stainless Steel for men and women who rock. 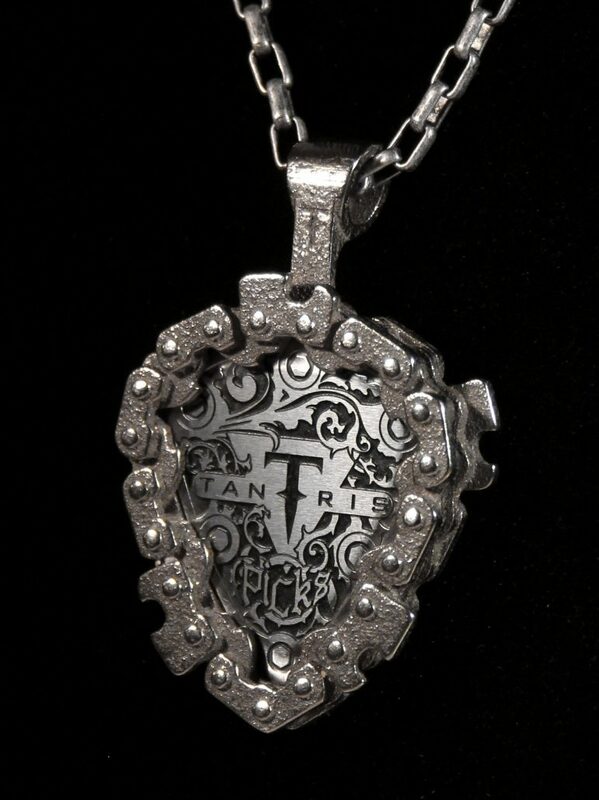 Fits one Tantris “Standard” model pick. Pick and stainless steel chain included. Stainless Steel guitar pick earrings for women who rock.